This towel says it all, "The World's Finest Coffee." 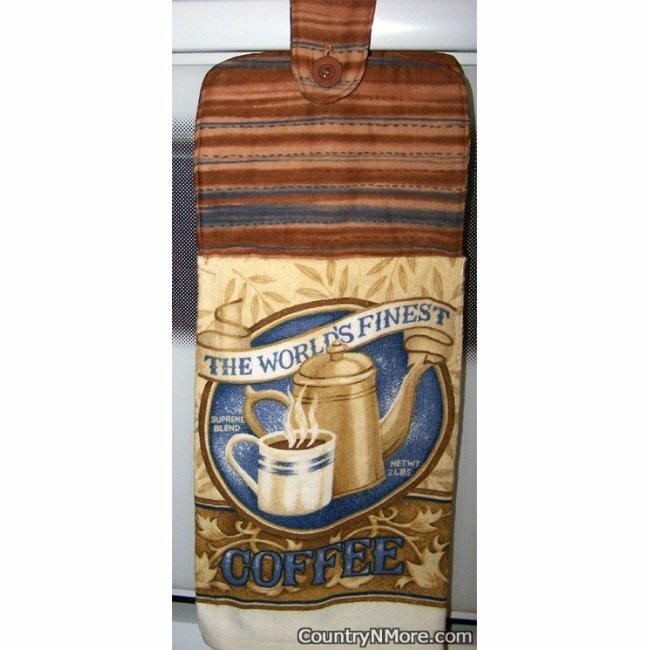 This oven door towel can be used in a manly kitchen. The colors in the top part of the oven door towel go with the colors in the towel. We use full length towels for our oven door towels.